Fire extinguisher / hand grenade. 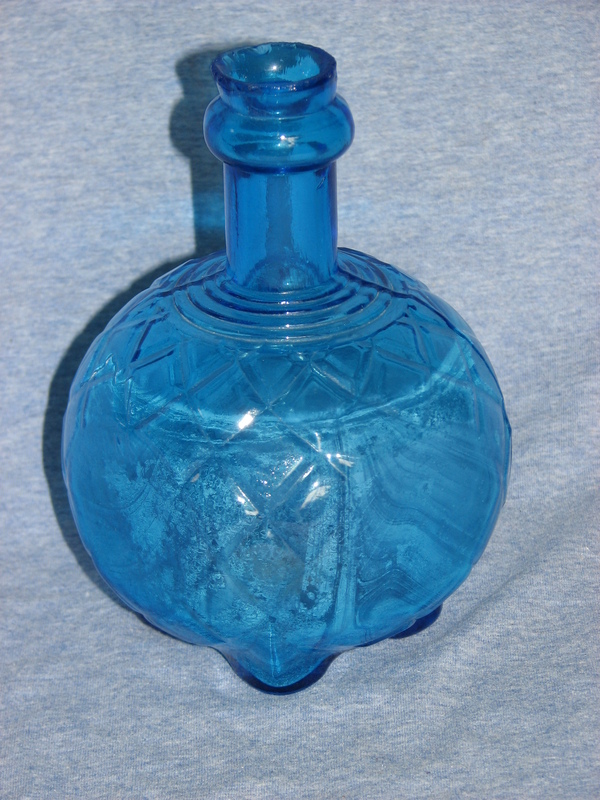 Blue glass bottle, round, necked, 4 footed, snifter type. The words “Hardens Hand Fire Extinguisher Grenade” are embossed on the side. This bottle would have been purchased filled with salt water or carbon tetrachloride and sealed with a cork and cement. In the event of a small fire, the user would throw one or two of these at the base of the fire to attempt to extinguish the blaze before it spread. This entry was posted in Collection Notes and tagged antique fire extinguisher, blue glass bottle, Fire Extinguisher, Harden Fire Extinguisher, Harden Hand Grenade, Pope County, Pope County History, Pope County Museum. Bookmark the permalink.